With a metal barrel construction and metal lens mount the Mitakon 50mm f/0.95 promises good value for the $799 price tag, but weighing 720g is almost twice as heavy as the 416g Sony a7 camera. 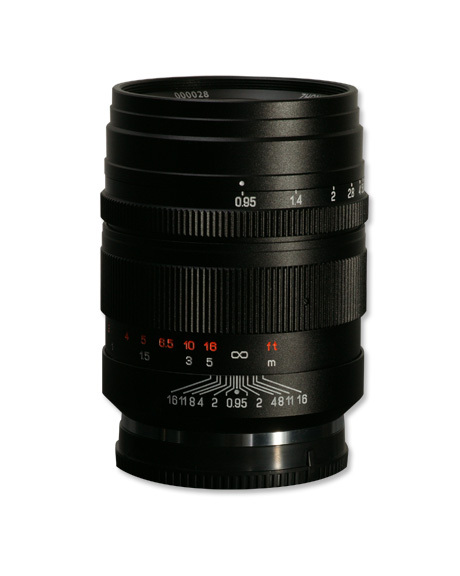 Ultra fast prime lenses boasting maximum apertures between f/0.95 – f/1.4 are perfect for shooting in low-light and creating amazing bokeh, or out of focus background effects. What’s more with a limited number of optics currently available in Sony’s FE lens mount, for use on their new full-frame mirrorless a7 series, a new lens on the market is very welcome. The optical arrangement offers 10 elements in 7 groups, featuring no fewer than 4 ED lenses and 1 Ultra Hi-Refraction lens element to enhance image quality. 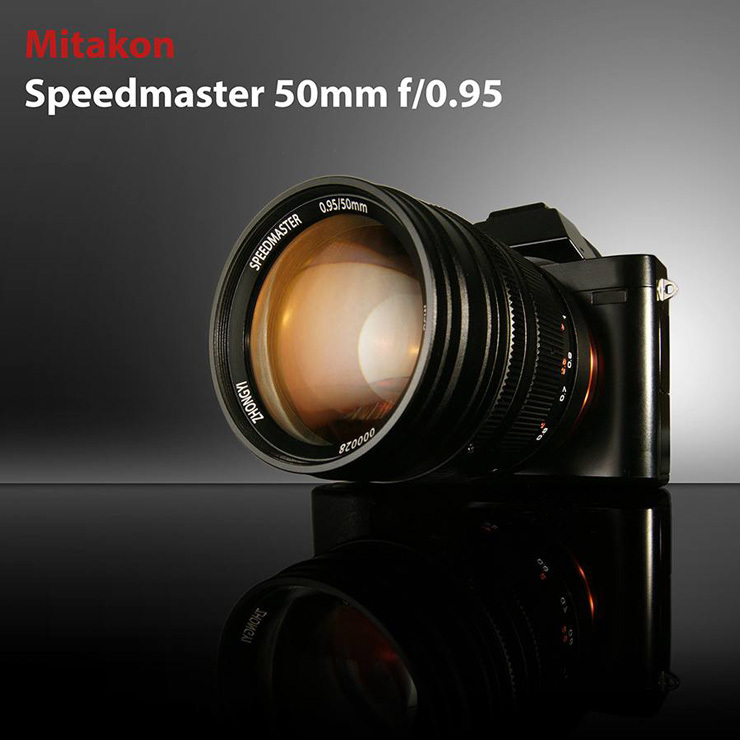 The Mitakon 50mm f/0.95 is an autofocus lens and features a minimum focus distance of 50cm, an aperture range between f/0.95 – f/16, 9 aperture blades, and a 58mm filter thread. Constructed with a metal barrel and lens mount, the lens itself is 87mm in length and weighs in at 720g, which is nearly twice that of the 416g Sony a7 camera body. With an initial price tag for the Mitakon 50mm f/0.95 of $799 (€570) it is significantly cheaper than the only currently available alternative, the $1400 (€1000) Sony FE Carl Zeiss Sonnar T 55mm f/1.8. Not only cheaper, but the Mitakon also lets in roughly 2-stops more light than it’s more expensive rival. 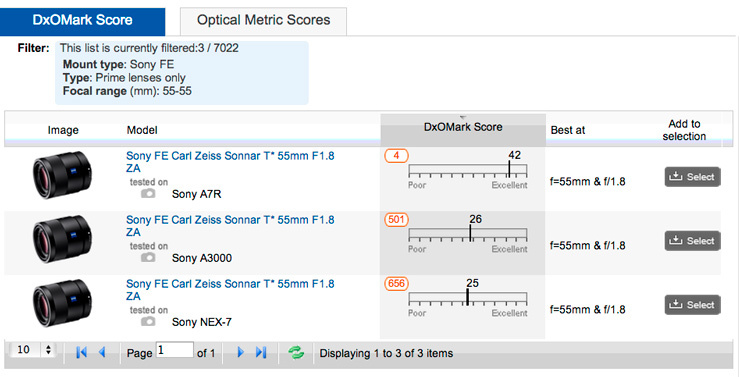 The Carl Zeiss alternative is an outstanding lens however, achieving a DxOMark score of 42, which ranked it 4th out of all lenses on our database. We don’t currently have plans to test the Mitakon 50mm f/0.95, but are looking into it, so keep your eyes out for a possible review in the near future.